Welcome to the Crystal Coast, perfectly positioned along North Carolina's Southern Outer Banks. The pristine beaches and scenic natural wonders provide the backdrop for a vacation escape filled with rich history and fascinating stories. Families and friends will enjoy the short walk to the beach, hanging out at the private pool or an afternoon game of volleyball. This charming studio apartment at Pelicans Roost is the perfect perch for your beach getaway. It's the best of both worlds: The scenic, quiet beauty of the Outer Banks and beaches yet convenient to Beaufort and Morehead for dining out, shopping and enjoying the towns' historic waterfronts. Just bring your beach towels and come relax with us! There is a pay washing machine and rec room. There is a pay dryer in rec room. Pool table is in rec room. Newly renivated studio apt. with modern ammenities , wood floors , full kitchen with microwave ,new 6 drawer dresser , 48 inch flatscreen TV ,DVD player, a two seat bar table to sit and eat at. fully tiled shower with glass doors. Fully furnished, and beautifully decorated , dishes, utensils, coffemaker, blender , iron and ironing board . Brand new Queen-size bed with new pillow top mattress with 4 drawers for more cloths. Private pool, outdoor grill and picnic gazebo,sand volleyball court. Be on the beach in less than a minute walk.We are not directly on the beach. Public beach access with full restrooms shower and playground. Triple S Marina (2 blocks North) with convenice store ,boat ramp, pay dockage --- everthing you need for a WOUNDERFUL vacation! PLEASE NO SMOKING IN THE UNIT OR ON THE PROPERTY, AND NO PETS PLEASE! Going fishing? Please keep bait and fish in your cooler outdoors to prevent odor. Pitch A Tent Instead! Or Sleep In Your Car. My boyfriend and I stayed here 5 nights and they weren't good. The bed is extremely uncomfortable even with the "new pillow top"... The volleyball court was over grown with weeds, not that we had access to that or the pool because the landlord didn't know the code to get into the pool area or the rec room, which is also the laundry room. We were on a long trip and needed laundry done and thankfully a neighbor let us in because none of the three codes the landlord gave us worked and don't message him if you have a problem or question because he is ride and clearly doesn't care. He also neglected to tell us that they were doing construction on the complex and that the place was a motel in the middle of a trailer park. He doesn't provide anything at all. Bring sheets, blankets, pillow cases, towels for showering, washing dishes, washing your hands, beach towels. We would've been better off pitching a tent. The lights in the room kept flickering, the air conditioner kept acting up and even though there are signs everywhere for no dogs there were dogs in the same complex wandering around, not even on a leash and their were dogs behind the complex with all the trailers and mobile campers. He didn't leave any suggestions for food, shopping or activities. We were only in the apartment to sleep (not that we got much on the uncomfortable bed) and that's it. There's a reason there are no cancellations or refunds because the second I got there I wanted to leave. Dear Miss Hayes, we are very sorry you did not have a good experience with us. You stated that I did not leave any suggestions for food, shopping, or activities . When in fact if you read the February 16th email I sent you with all your information. It states that I gave you five restaurants to go to, three that we're sit down, and two that were for sandwiches. I also gave you four things to do in Atlantic Beach, Beaufort, and Moorhead. You complained about the the air conditioner. It's brand new! You stated that you could not get in touch with me, and I was uncaring. You contacted me one time in the 5 days you stayed with us, and I called you back in less than a minute. Yes, North Carolina coast had three hurricanes last year and there is still ongoing repairs being made. You stated that I did not know the codes for the pool and rec room. Again look at the email I sent you, I mistakenly wrote 1025, but meant to write 1024 . Miss Hayes, it is my experience that some people will never be satisfied, no matter what the facts show them. Sincerely Chris. First time to this area and enjoyed it and hope to come back soon! Great stay! Clean and awesome location. Definitely will be back. Clean and comfortable. Great location! good location. clean and comfortable for me wife and daughter. We enjoyed our stay in this charming studio suite. Accommodations are very comfortable and convenient to everything we wanted to do. I would highly recommend! Looking forward to booking another visit. Life on North Carolina's Crystal Coast has always revolved around the water, and the variety of activities you'll find in, on and around the ocean is almost endless. It's only a few steps to the beautiful Atlantic Ocean where you can enjoy sun and surf, fishing, suntanning or romantic walks on the beach. Close to the Fort Macon historical Civil War site, great beaches and fishing at Morehead Inlet, and you'll not want to miss the fresh seafood at Amos Mosquitos Restaurant and other fantastic waterfront restaurants. 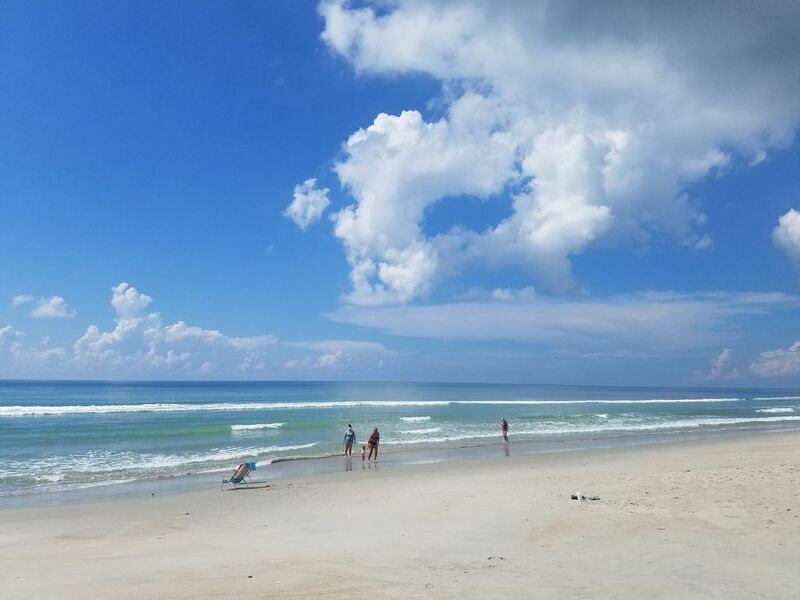 The 21-mile stretch of Cape Lookout Shoals has a rich and interesting history where you will find one of North Carolina's most famous lighthouses, the Cape Lookout Lighthouse. Divers know the Crystal Coast for the shipwrecks that lie on the ocean floor. 'The Graveyard of the Atlantic' is a collection of the remains of freighters, tankers and even a German U-boat waiting for them to explore. For golfers, there are a number of courses, some right on the water, to challenge players of any skill level. Area boat tours take you for a relaxing ride along the coast, showcasing such sites as the Cape Lookout Lighthouse, Beaufort's historic waterfront, a view of Fort Macon State Park, Dolphin Cruises, Wild Horse Cruises, Sunset Cruises, Moonlight Cruises, the Beaufort Ghost Walk, the Port City Pirates & Ghosts Tour, the Shackleford Wild Horse & Shelling Safari, Pirate Island Treasure Hunt and more.